Transform your field agents into sales reps with the tools to enter upsell and cross sell opportunities, document customer preferences, create Work Orders, and complete billing processes from the field. In a digital world, competitive advantages are gained through better use of technology and business processes that connect employees across departments. Reduce the costs of your field service operations and maximize resource utilization to positively impact your bottom line profits. With everything they need to engage customers and work effectively, you can vastly improve the customer experience of your brand and maintain a strong, competitive reputation. Reduce complaints with proactive services and maintenance, improve your first-time fix rate, and accurately capture all billable calls and visits to build personal and lasting relationships with customers. Examples of cost centers tend to include necessary costs of doing business, like Human Resources and IT. In many contexts, 'field service' divisions have operated like this for years. 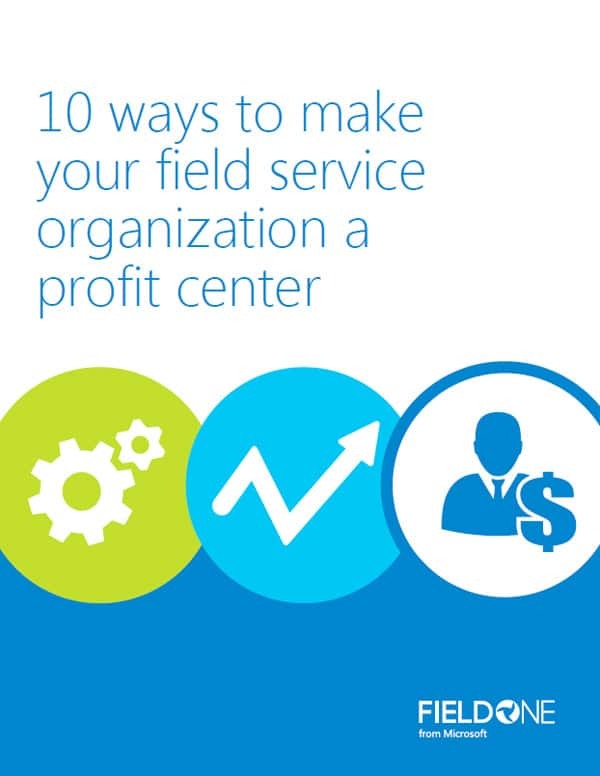 This eBook is about moving from a field service organization that costs money to one that makes money for you. Turnkey Technologies is your strategic partner for all things Microsoft Field Service. We can help you assess your current Field Service Organization (FSO), map it to the best practices of Microsoft Dynamics 365 Field Service, and identify value-driving processes that align to your goals and drive ROI in field service. Watch our recently recorded webinars to learn how Microsoft Dynamics 365 Field Service helps you improve field service efficiency and meet today's customer expectations for onsite service. To meet high customer expectations, you need to simplify scheduling, drive efficiency and connect your field agents in real time. Learn how Microsoft Dynamics 365 Field Service helps you do all this and more. Happier field service technicians get more done, and nothing is more frustrating than facing an uphill battle to complete a job. Arm your field agents with proven software they will actually use and increase jobs per day. When it comes to onsite field service, efficiency wins customers. Learn how Dynamics 365 for Field Service helps dispatchers and technicians work more efficiently. The customer experience is the number one factor impacting the reputation and brand for field service organizations. Learn how Dynamics 365 for Field Service can help. Get free white papers, eBooks and fact sheets about Microsoft business solutions.